On July 14, 2014, at the NBN6 Meeting, representatives of Highland Hospital told the neighborhood that the hospital would place 27 Bellevue back on the market. On July 31, a sale sign appeared in the yard. The listing is with John McManus of RealtyUSA. Spread the word! It's a nice house in a great neighborhood! It was revealed yesterday that in June, Highland Hospital's Board of Directors voted not to purchase additional residential properties and has approved the sale of 27 Bellevue. We are relieved, and we hope that Highland and the University of Rochester will take the idea of expanding into the residential neighborhood off the table once and for all. What's next? Defend Urban Neighborhoods will remain vigilant. 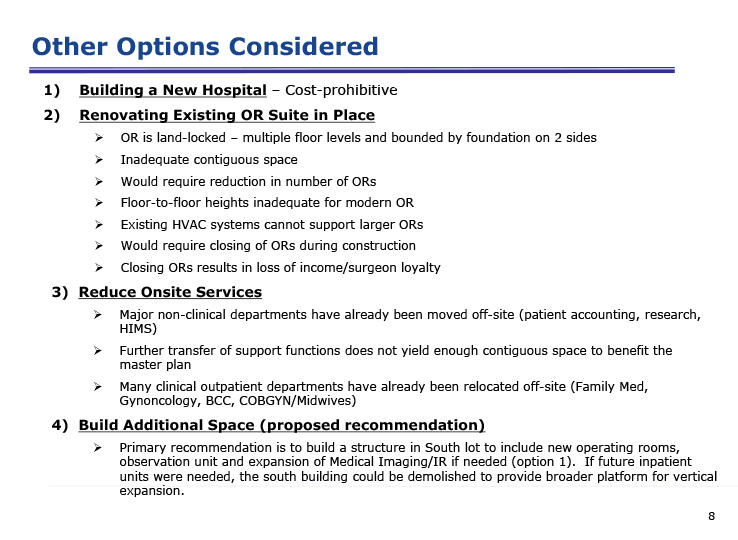 Highland Hospital will reveal its imminent expansion/modernization plans at an open meeting on Monday, July 14 at 5:30 p.m. at the Olmsted Lodge in Highland Park. We hope to see everyone there. There will be an opportunity to ask questions, offer comments and express concerns. We hope that Highland Hospital will be willing to discuss issues like traffic, parking, noise, trash, neighborhood aesthetics, and future development plans openly and without the brinksmanship we have seen in the past. The petition is being delivered today to key decision-makers, a week before the hospital’s July 14 presentation to neighbors on its expansion plan. A decisive 94 percent of Highland Park Neighborhood residents who were petitioned oppose Highland Hospital’s plan to expand its campus into the surrounding residential community. The petition and its 1,658 signatures are being presented today (July 7, 2014) to about two-dozen decision-makers from Highland Hospital; its owners, the University of Rochester; and city and county government. It urges them to retain current residential zoning in the neighborhood and asks the hospital to refrain from acquiring residential property there. The hospital will present a plan to expand in its South Parking Lot, to interested neighbors in an open meeting on July 14 at 5:30 pm the Olmsted Lodge at 171 Reservoir Avenue in Highland Park. The meeting is organized by Neighbors Building Neighborhoods Sector 6, a group of business and neighborhood leaders in southeast Rochester that focuses on planning and collaboration among neighborhoods, businesses and government. The petition was initiated in response to Highland Hospital’s Jan. 15 purchase of a single-family home at 27 Bellevue Drive and public statements that it intends to purchase more neighborhood property for institutional purposes. “These statements have created a cloud of uncertainty over the future of this economically diverse, stable, desirable, tax-paying neighborhood, potentially affecting property values and residents’ motivation to invest in property upgrades and maintenance—and even their desire to continue to live in the neighborhood,” Michael Thompson wrote in his petition cover letter. • Door-to-door canvassing—During late April and early May, canvassers had face-to-face contact with 250 households in Highland Hospital’s immediate neighborhood. Ninety-four percent signed the petition. • A petition table at the June 7-8 Landmark Society House and Garden Tour of “some of the most distinguished homes in the area,” according to Landmark Society publicity—The table was on the same Bellevue Drive block as two homes on the tour and the now vacant house the hospital owns. • A petition table during the Lilac Festival—The table near a property the hospital made an offer on in 2013, the bed and breakfast at 428 Mount Vernon Avenue and its1.8-acre wooded lot bordering Highland Park. About 55 percent of the signers are City of Rochester residents. The rest are from Rochester suburbs and nearby cities such as Elmira, Buffalo and Syracuse. A few are from as far away as Florida and California. (8) ran across a couple of dozen people playing some kind of elaborate bean bag toss game with snacks and beer. Yes, growth and change and development are inevitable. They are desirable. But they should be done in a way that preserves the character of the neighborhood. The character of this neighborhood promotes interaction on a person-to-person scale. It's why we love it here. 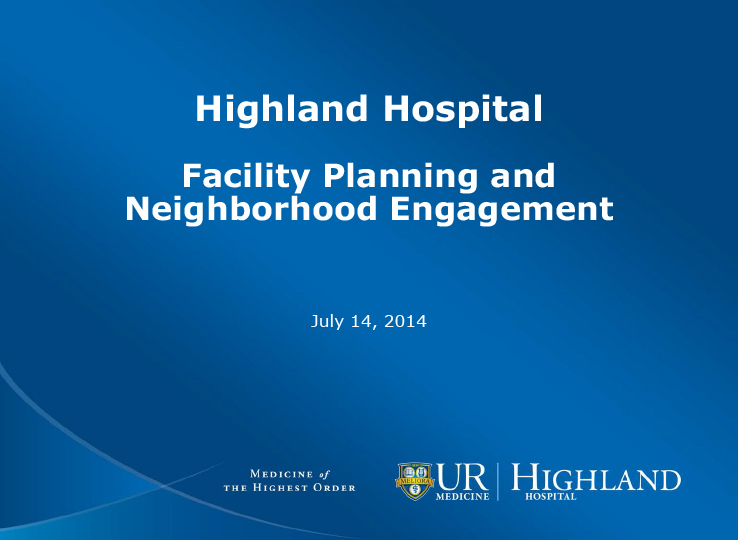 Representatives of Highland Hospital and its parent institution, the University of Rochester, will present plans (as they currently exist) for the hospital's upcoming expansion to the public on Monday, July 14, at the NBN6 (Neighbors Building Neighborhoods, sector 6) meeting at the Olmsted Lodge in Highland Park. The meeting gets underway at 5:30 p.m. Olmsted Lodge is located in Highland Park, on Reservoir Drive, directly across from Lamberton Conservatory, and very close to the corner of South Avenue. We hope to see a lot of people there. Issues with Highland Hospital will be discussed at both meetings. All are welcome. Click here for more info on the HPNA meeting. In this week's City Newspaper, Mary Anna Towler discusses the delicate balancing act between growth and neighborhood character in three separate Rochester neighborhoods. Ms. Towler points out that residents of Charlotte, Upper Mount Hope-Azalea, and the Highland Park neighborhoods all have cause to question proposals for development at this moment, and she wonders if the mayor, who ran on a platform of strong neighborhoods, will listen to the concerns of neighborhood advocates. And in the latest The Wedge community newspaper, Defend Urban Neighborhoods members Kerry Regan and Michael Thompson outline in some detail the situation with Highland Hospital. The Reservoir Street home of Jason Roberts and Bob Farnan will be featured in next weekend's Landmark Society House and Garden Tour, and rightly so -- the beautiful 1911 Arts and Crafts house is a gem. This video on the Democrat and Chronicle website offers a sneak preview. Amidst the unique, homey architectural detail and the warm, inviting decor, we couldn't help but notice one accessory common to a lot of our homes these days -- the Defend Urban Neighborhoods lawn sign. Thanks to Jason and Bob for their support. And if you'd like a sign of your own, please use the contact tab to let us know. Two homes on the Landmark Society of Western New York House and Garden Tour, June 7-8, are on the block where Highland Hospital purchased a house in January, which remains vacant. The hospital’s plans for its house at 27 Bellevue Drive remain unclear. Members of Defend Urban Neighborhoods, an affiliate of the Highland Park Neighborhood Association, will staff an information table on Bellevue Drive during the tour, seeking support in retaining the neighborhood’s residential character. The group opposes expansion of Highland Hospital’s footprint and will seek signatures on a petition to retain the neighborhood’s residential zoning, which would prevent the hospital from using homes it owns or acquires for institutional purposes. "The preservation of our urban neighborhoods is important to our overall livability in the Rochester region. A strong urban core leads to a stronger metro area as a whole. The historic character of urban neighborhoods is paramount to the larger issue of sustainable, urban city living. Rochester's historic neighborhoods have weathered the storm of urban flight and are now poised to be more vibrant than ever, as these types of neighborhoods become the neighborhoods of choice for a new generation of entrepreneurial, community-conscious individuals." Highland Hospital also made a purchase offer on the bed and breakfast at 428 Mount Vernon Avenue at the entry to block-long Bellevue Drive, but the offer was not accepted. Tickets for the Landmark Society Tour are available online or at Parkleigh. 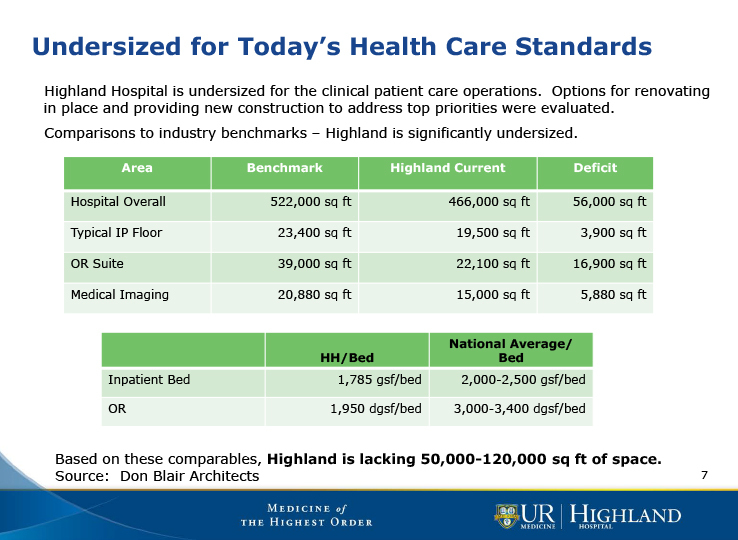 As word of Highland Hospital's expansion plans spreads, we are seeing more media coverage. Please check out the Democrat & Chronicle's story in today's paper, also available online. Yesterday's 13WHAM News piece is available online here (or as a PDF here). And look for the free publication The South Wedge Quarterly -- it's available all over the Wedge. There's a piece on the Highland Hospital situation written by neighbor Kerry Regan. Earlier today, reporter Cody Combs from 13WHAM News interviewed Bellevue residents Marie Via and Kerry Regan about Defend Urban Neighborhoods. His report should air tonight, Saturday, May 10 on the 6 p.m. broadcast (which may start late if games go late), and possibly again at 11 p.m.
It’s Lilac Festival time. Let’s talk about Highland Park. Frederick Law Olmsted, designer of Highland Park (as well as Central Park in Manhattan, Prospect Park in Brooklyn, Mont Royal Park in Montreal, the Emerald Necklace of parks in Boston – and the list goes on and on), was a proponent of the idea that urban dwellers need the respite provided by contact with natural spaces. He described the purpose of a park as "an effect on the human organism by an action of what it presents to view, which action, like that of music, is of a kind that goes back of thought, and cannot be fully given the form of words." In other words, being in the park is an indescribable, but really good feeling. Some might wonder if we are being alarmist when we say that Highland Hospital’s expansion into the surrounding neighborhood would endanger Highland Park. After all, Central Park is a great Olmsted-designed park, and it is able to accommodate tall buildings on its borders. Why is this different? Further, Bellevue, Mount Vernon, Alpine and South Avenue form a one-block buffer between the hospital and the park today. As that gets chipped away, the institutional activity of the hospital gets closer to the park, again interfering with its pastoral nature. Patient, employee, visitor, delivery and ambulance traffic; necessary parking structures; noise, litter and smokers; bright lighting around the clock – all part of a major medical campus, and all of this could be pushed right up to the park’s borders. We are talking about potentially diminishing the impact of Olmsted’s design for the city’s crown jewel park. Is that what we, as a community, want to do? We will have 40 lawn signs around the neighborhood by the beginning of Lilac Festival. If you'd like one, use the CONTACT tab on this website to let us know. And don't forget, this year's Landmark Society House & Garden Tour takes place in our neighborhood on June 7 and 8. Come see what we are defending. Tickets are on sale now, get them online here, or at Parkleigh beginning May 9. Check out this article from today's Democrat & Chronicle about the proposed port development in Charlotte. It's very discouraging that residents of another Rochester city neighborhood feel that their concerns are not being heard by the city and by developers. Read Rochester real estate blog BuyInRoc.com's comments on the WROC Channel 8 story about Defend Urban Neighborhoods. BuyInRoc.com shares our confusion about how Highland Hospital can call a place "residential" when it is office space. Short 'n' sweet. Watch it here. Blog it, share the link, tell your friends. We're at the getting-the-word-out phase, but getting a lot of positive feedback and messages of support. Thanks, Tom Gallagher and Alex Zazubec for speaking for us. Please note the statement Highland Hospital provided to WROC. If it's office space, it isn't residential. WROC-8 report on Defend Urban Neighborhoods to air tonight at 6 p.m. Representatives of Defend Urban Neighborhoods will be on WROC-Channel 8 at 6 p.m. tonight discussing the situation with Highland Hospital. UPDATE: Yikes! Audio problems! WROC says they will have a longer version (presumably with clear audio) at 11 p.m. tonight.